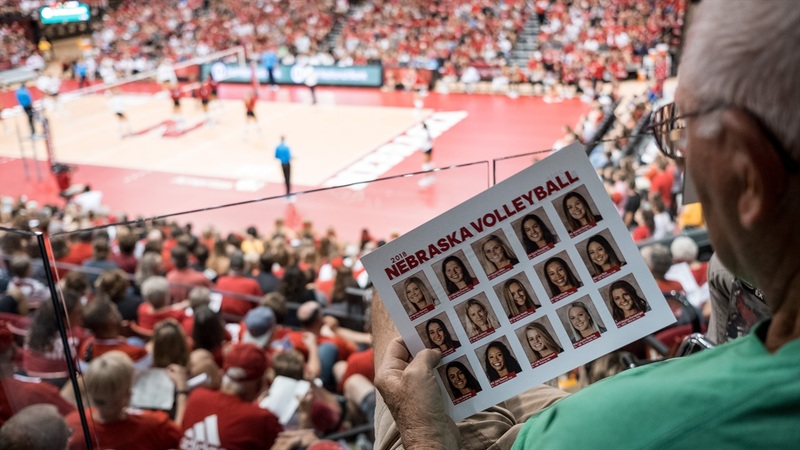 The 2018 volleyball season begins this weekend for the Huskers with a big-time back-to-back at the Devaney Center, but Friday and Saturday won’t be the only chances Husker fans get to see the Huskers take on ranked opponents during the nonconference (or preseason in volleyball lingo). Even better than that, fans in Lincoln who don’t want to miss a match will only have to take one road trip, 60 miles up the road to take on Creighton at CHI Health Center Omaha. The rest of the preseason opponents will swing through the Devaney Center. For more on the VERT Challenge which will pit the Huskers against No. 7 Florida on Friday and No. 18 Oregon on Saturday, check out the weekend preview. Such a tough test right out of the gates should give the Huskers a great opportunity to learn where they stand and where they need to improve. In week two, the Huskers will host the first of their two annual tournaments at the Devaney Center, the Americas Players Challenge. This year’s field includes Wake Forest, Santa Clara, Ohio and Nebraska. The Demon Deacons went 13-19 last season but return most of their impact players. Santa Clara went 15-15 and returns most of its lineup but will be playing with a new setter. The Bobcats went 17-15 last season with a young roster and return most of their firepower. In week three, the Huskers will make the trip to Omaha to take on the preseason No. 13 Bluejays who took down No. 5 Kentucky in five sets in their first match of the season on Friday afternoon. The match should serve as a great feature of the level of volleyball being played all across Nebraska. Three days later, the Huskers will host No. 21 Iowa State. The Cyclones went 22-7 last season and made it to the NCAA Tournament, falling in the second round to Wisconsin. Iowa State returns its top outside hitter in Jess Schaben and a talented middle blocker in Grace Lazard, but they’ll be working in a new setter. Nebraska closes out the preseason with the Husker Invitational in mid-September. The 2018 field includes Missouri State, New Mexico, Central Michigan and Nebraska. The Bears went 28-6 last season including a perfect 18-0 in the Missouri Valley Conference. The fell in the first round of the NCAA Tournament against Michigan State. The Bears return key pieces at setter, libero and outside hitter but will have to replace their top two kills leaders. Central Michigan went 15-14 last season and they return their libero and setter but will have to replace three of their top four kills leaders. New Mexico went 16-16 and returns almost all of its offensive firepower as well one of its two setters who played a big role but the Lobos are replacing their libero. After that, Nebraska dives into Big Ten play where they will face some of the toughest competition in the country as they always do. Nebraska’s 2018 preseason schedule should give John Cook the chance to accomplish everything he needs to to prepare for the Big Ten. Four teams in the preseason top 25 gives Nebraska chances to build a nonconference resume for postseason seeding and a lot of the unranked teams coming through Lincoln are either coming off string seasons or bring a lot of production back.